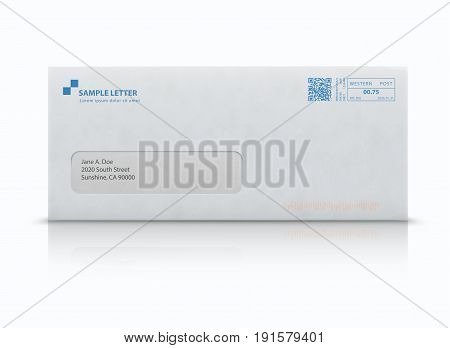 envelope › Buy Poster of Vector illustration of closed white envelope for letters and documents with transparent window and post stamps isolated on white background. Mockup post envelope. Poster of Vector illustration of closed white envelope for letters and documents with transparent window and post stamps isolated on white background. Mockup post envelope.